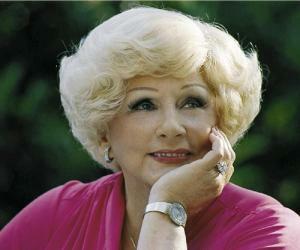 Mary Kay Ash was a famous American businesswoman and the founder of Mary Kay Cosmetics, Inc. Check out this biography to know about her childhood, family life, achievements and fun facts about her life. Founder/Co-Founder: Mary Kay Cosmetics, Inc.
Mary Kay Ash was a famous American businesswoman and the founder of Mary Kay Cosmetics, Inc. Her strategy of the business was based on Christian philosophy. She asked her employees to give preference, first to God, then family and finally to work. She encouraged women to discover their good sides as mother and wives, while simultaneously also succeed in work. From the age of seven, she not only had to take care of her ailing father, but also had to undertake all household chores like shopping, cooking and cleaning. Her mother always encouraged her by saying, “You can do it, Mary Kay, you can do it”. Later, she made the impossible possible when at the age of 45, after being repeatedly passed over for promotion by male employees, she opened her own company. It started in 1963, with a capital of $5,000, five foundation products and nine sales personnel. Clocking profit within just few months, it continued to grow each year, opening manufacturing units in USA, Switzerland and China. By the time Mrs Ash died at the turn of the century, the company employed more than 800,000 ‘consultants’, who sold $1.2 billion worth of products across the world. Being listed under "The 100 best companies to work for in America” by Forbes Magazine, was another feather in her cap for she actually started the mission to provide equal opportunity for women in world dominated by men. Her father, Edward Alexander Wagner, was afflicted with tuberculosis. When Mary Kay was around three years old, he was sent away to a tuberculosis sanatorium, where he lived for four years. However, in spite of the treatment, he remained invalid throughout his life. It was her mother, Lula Vember Hastings, who mostly took care of them. A trained nurse, she later became a manager at a restaurant, working there from 5 am to 9 pm, seven days a week. In spite of that, she, as a female worker, was never adequately paid. Mary Kay was born youngest of her parents’ four children. Her two sisters, Dealia Koch and Daisy Wagner, and brother, Cecil Dewitt Wagner, left home by the time their father returned from sanatorium. Therefore, it fell upon seven year old Mary Kay to take care of him. She was also entrusted with running the household; cleaning, shopping and cooking for herself and her ailing father. When she found something unmanageable, she would call her mother and receive instruction over the phone. Her mother, while telling her what to do, would always add, “You can do it, Mary Kay, you can do it”. That particular statement remained with her for rest of her life and she would later repeat it endlessly to motivate her subordinates. Mary Kay began her education at Dow Elementary School, later moving to Reagan High School, graduating from there in 1934. She was a good student and won many prizes as an orator. Although she longed for university education, she knew her family could never afford that. In 1935, Mary Kay married J. Ben Roger, with whom she had three children. The marriage was not a happy one and Roger was not a responsible father. To support her family, Mary Kay began selling child psychology books, moving from door to door and earning commission from the sales. In 1939, after a few job changes, she ultimately joined the Stanley Home Products. Here she was required to demonstrate the company’s products at parties organized in private homes. She was a small woman and it was not easy for her lug heavy household products; yet she did not flinch. When the USA joined the Second World War, Roger joined the army and left. Mary Kay now continued to support her family with her sales job. By the end of the war, she had saved enough to enroll at the University of Houston. In 1946, while Mary Kay was in her first semester, Roger returned home to ask for a divorce. Although the marriage was not at all happy, Mary Kay felt humiliated and depressed. In spite of growing symptoms of rheumatoid arthritis, Mary Kay immersed herself in her job, earning many prizes. However, when it came to promotion, Stanley refused to entertain her name, simply because she was a woman. Disgusted, she left her job in 1952, moving to Dallas to join World Gift. Here too, she excelled in her job. One year, she single-handedly increased company’s turnover by over 50 percent. Over the time, she became the national training director of the company. But very soon, she was forced to leave. In 1963, when it was time for further promotion, a man she had trained was promoted over her at twice her salary. Realizing that she had once more become victim of gender discrimination, Mary Kay left the job in disgust, intending to write a book to help women in business. Mary Kay now began to work on her new book. Sitting at her kitchen desk, she first set out to create two lists; one would contain the good things that she had seen in the companies she had worked for and the other would contain the features that needed to be improved. While reviewing the list, she realized that she had just created the foundation of a successful venture that would provide women employees with equal opportunity to achieve personal as well as financial success. She now decided to open her own company. Mary Kay had only $5,000 as her life savings and she realized that she would have to tread very carefully. She now contacted Ova Spoonemore, whom she had met at one of the Stanley Home Products parties. Ova’s father, J. W. Heath, was an Arkansas tanner. He had developed a skin care formula that kept his hands soft and wrinkle-free. Mary Kay bought the formula from Ova with $500 and invested rest of her savings to create a direct-selling company. It was also decided that while Mary Kay looked after sales, her fiancé, George Hallenbeck, would look after the financial aspect of the business. But he died of heart attack only a month after the wedding; the company was to be launched in next month. Mary Kay went ahead with her schedule, persuading her 20 year old son, Richard, to take up the financial responsibility. Finally on Friday, 13 September 1963, ‘Beauty By Mary Kay’ opened its door in a 500 square foot Dallas storefront. Within eight months, her elder son too joined the venture. Initially, there were only nine salespersons and five foundation products; Cleansing Cream at $2, Nite Cream at $4.95, Skin Freshener at $3.50, Day Radiance at $1.50, and Magic Masque at $4. Following Stanley’s house-party mode, the saleswomen invited their friends for free beauty treatment and then pitched in for sales. What made ‘Beauty By Mary Kay’ different from others was her involvement in the administration. In other companies like Avon, women, who made up the sales team, were nearly absent in administration. But here, Mary Kay was not only the chairman of the company, but was active in every sphere. More importantly, she was feminine to the core. She chose pink as her product color. People saw her as a God-fearing mother of three children and at the same time, determined to see other women, who were until then underpaid and miserable, rise in their life. Mary Kay followed equal-pay-for-equal-work policy and called her saleswomen ‘consultants’. If any of them recruited other consultants, she also received a commission on their sales and went one step up the ladder. All of them were her ‘daughters’ and she mentored them lovingly. Within few months, the company clocked profit and by the end of the financial year it had sold $198,000 worth of cosmetics. In 1964, Mary Kay held her first sales convention, which she called ‘seminar’. Held in a warehouse decorated with balloons, the seminar was more of a celebration. Here she fed her ‘daughters’ with chicken and Jell-O salad that she had made herself. Eventually, it became an annual event with three-days of extravaganza, comparable almost to Academy Awards celebrations. For the first decade, the company, now known as Mary Kay Cosmetics, continued to experience double-digit growth. In 1968, it went public; first listing its share in the over the counter market and later from 1976, on the New York Stock Exchange. By 1979, the turnover reached $100 million. Continuing to grow, it doubled that amount within the next ten years. Meanwhile in 1985, when the stock price took a hit, Mary Kay bought back her company through a $450 million leveraged buyout. Along with guiding the company, Mary Kay, by then Mrs. Ash, started writing her autobiography, entitled, ‘Mary Kay: The Success Story of America's Most Dynamic Businesswoman’. First published in 1981, it sold over a million copies and was translated in several languages. Other than ‘Mary Kay’, Mrs. Ash had three more titles to her credit. They are ‘Mary Kay on People Management’ (1984), ‘Mary Kay: You can Have It All’ (1995) and ‘Miracle Happens’ (2003). Mrs. Ash served as Mary Kay Cosmetics' chairman until 1987. Thereafter, she stepped down to become its Chairman Emeritus and remained active in the company until 1996, when she suffered a stroke. By that time, the company had become big enough to be listed on the Forbes 500. Mary Kay Ash had received numerous awards and honors. Most significant of them were Horatio Alger Distinguished American Citizen Award (1978), Dale Carnegie Leadership Award (1977), Golden Plate Award by American Academy of Achievement (1980) etc. In 1996, she was inducted into the Junior Achievement U.S. Business Hall of Fame. In 1999, she was honored as the "Most Outstanding Woman in Business in the 20th Century" by Lifetime Television. In 2001, she received the "Equal Justice Award" from Legal Services of North Texas. In 1935, Mary Kay married J. Ben Rogers, a gas station attended, who also played with a local band. The marriage ended in a divorce in 1946. The couple had three children, who later joined the family business. While her youngest son, Richard Raymond Rogers, joined the company at its very inception, eldest son J. Ben Rogers Jr. joined it eight months later. In 1981, her daughter, Marylyn Reed, also joined Mary Kay Cosmetics as one of the directors. In 1963, two months before Mary Kay Cosmetics was launched, she married George Arthur Hallenbeck, a chemist. But he died from heart attack within one month of the wedding. In 1966, she married Melville Jerome Ash, a retired salesman. The marriage was a happy one and they remained married until his death from lung cancer on July 7, 1980. 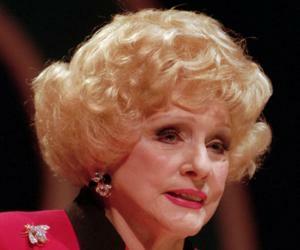 In February, 1996, Mary Kay had a stroke, which left her house bound, unable to speak. She lived like this for more than five years, before she died on November 22, 2001 from natural causes at her home in Dallas, Texas. She was buried in the Sparkman-Hillcrest Memorial Park Cemetery. In 1996, she established the Mary Kay Charitable Foundation. Bearing her legacy, it continues to support cancer research and work towards eradicating domestic violence. At the time of her death, Mary Kay Ash had an estimated personal fortune of $98 million, more than two-thirds of which was in company stock. Mary Kay Ash held a strong belief in God, who was her life’s priority. All her life, she went by the rule, ‘God first, family second and career third’. She loved pink. She not only chose the color for product packaging, but lived in a huge pink mansion and drove a pink Cadillac. Later, she leased out pink Cadillac, Toyotas and Mercedes to the company’s top performers.